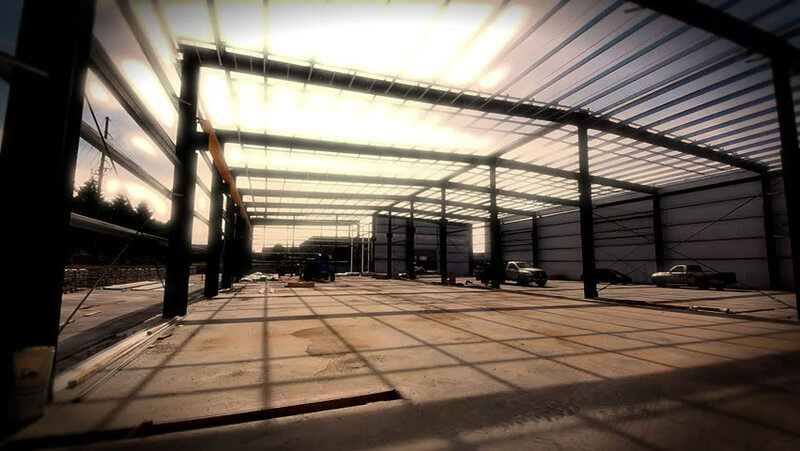 Construction of industrial building. Men working with heavy equipment and safety gear inside the Steel frames of the building and concrete floor. Shot with a Wide angle lens. hd00:10Construction of industrial building. Interior shot of Men working with heavy equipment and safety gear inside the steel frames of the building and concrete floor. Shot with wide angle lens.